Crown Street will be closed, except for access, for two weeks from Monday 30 October. 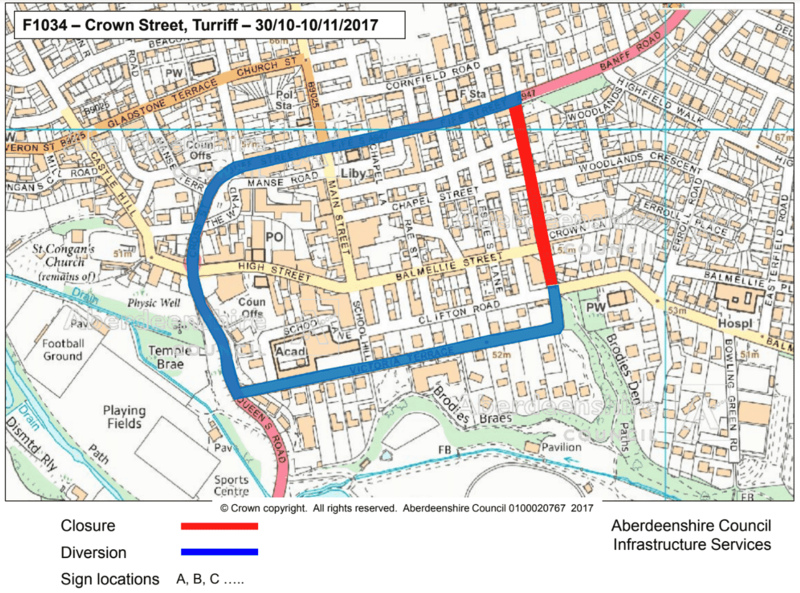 The closure is to allow Aberdeenshire Council contractors to carry out works on the street lighting and footpaths. Crown Street will be closed from its junction with Balmellie Street and the A947 Banff Road. The diversion will be via Victoria Terrace, Queen’s Road, Cross Street, Duff Street, Fife Street and vice versa.